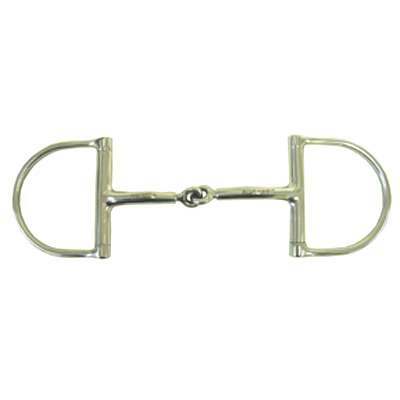 Your Horse deserves only the best Robart Hunter Pinchless Dee Ring Snaffle Bit. We are confident that the Pinchless Bit selection we have available are sure to satisfy you. This copper inlay bit is great for young or hunter horses, by reversing one of the dees the bit can be made correctional pushing against the jaw of the horse. Uses pressure while eliminating pain. Instead of traditional pain techniques. We know how hard it can be to find a great deal on Pinchless Bits. This is why we offer all our Robart Pinchless Bit items at discount prices to help our customers save and want to come back for future purchases.